Welcome to the Terra Foundation Center for Digital Collections, a virtual repository of a substantial cross-section of the Archives' most significant collections. 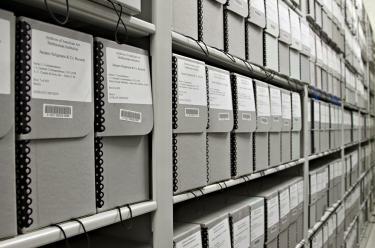 Since 2005, over 230 archival collections have been digitized and posted online comprising 2.8 million images. In addition, nearly 17,000 documents have been individually cataloged and are accessible through the Search and Browse interface. We invite you to browse and to visit again: content is continuously added. Learn more about the Background on the Terra Foundation Center for Digital Collections. Funding is generously provided by the Terra Foundation for American Art. Major support for digitization has been provided by the Walton Family Foundation with additional funding from The Brown Foundation, Inc., Estate of Maryette Charlton, Barbara G. Fleischman, Martha J. Fleischman, Frederick Hammersley Foundation, The Mr. and Mrs. Raymond J. Horowitz Foundation for the Arts, Roy Lichtenstein Foundation, Charles Moorman IV, Vital Projects Fund, The Widgeon Point Charitable Foundation, and Wyeth Foundation for American Art. The Marcia Marcus papers were digitized in 2019 and total 12,391 images. Marcia Marcus (1928- ) is a figurative painter working in New York, New York. Marcus studied at New York University, Cooper Union, and the Art Students League. Since 1951, she has been the subject of over a dozen solo shows and participated in many group exhibitions. Marcus was a 1962-1963 Fulbright fellow, and was the recipient of many other grants throughout her career including a Esther and Adolph Gottlieb grant and a National Endowment for the Arts grant. Four collections donated by National Academy of Design were digitized in 2019 and total 5,093 images. These collections include the papers of Henry Ward Ranger (1858-1916), a painter whose bequest to the NAD benefited the Smithsonian Institution's National Collection of Fine Arts; the papers of founding member of the NAD and Morse code inventor, Samuel Finley Breese Morse (1791-1872); the papers of miniaturist and founding member of the NAD, Thomas Seir Cummings (1804-1894); and the photographs of works of art by George Inness (1854-1926) compiled by his wife Julia G. Smith (1853-1941) as an authentication resource and donated to the NAD. The Jeff Donaldson papers were digitized in 2018 and total 18,712 images. Jeff Donaldson (1932-2004) was an African American artist and educator who worked in Chicago and Washington, D.C. He was a leading figure in the Black Arts Movement of the 1960s and 1970s and promoted the "TransAfrican" aesthetic. Donaldson co-founded the Organization of Black American Culture (OBAC) Visual Art Workshop and the AfriCOBRA artist collaborative. Donaldson was also a professional painter, exhibiting in over a hundred and fifty group and solo exhibitions, and wrote critical essays for arts publications. The Exhibition records of the Contemporary Study Wing of the Finch College Museum of Art were digitized in 2018, and total 31,303 images. The Contemporary Study Wing of the Finch College Museum of Art was established in 1964 as an extension the Finch College Museum of Art in New York City. Its mission was to educate art history students at the Manhattan women's college who were interested in working with contemporary art. The Contemporary Wing's Art in Process shows brought the process of art-making into the gallery. Hundreds of contemporary artists were shown at the Contemporary Wing in the eleven years of its existence. The James Carroll Beckwith papers were digitized in 2018, and total 7,853 images. James Carroll Beckwith (1852-1917) was a portrait and landscape painter in New York, New York and a member of the National Academy of Design. Beckwith gained widespread recognition for his portraits and among his subjects are the artist William Merritt Chase and President Theodore Roosevelt. Beckwith is also known for created skillful copies of Old Masters paintings which he saw in galleries across Europe during his time abroad. The Leo Castelli Gallery records were digitized in 2015. The bulk of the Exhibition Files and the Photographs Series (Series 3 and 10) have been scanned and total 23,491 images. Leo Castelli Gallery was established in 1957 in New York City by Leo Castelli (1907-1999). Castelli became known as one of the greatest salesmen in the art market and an avid supporter of contemporary art movements. The Esther McCoy papers were digitized in 2010 and total 75,513 images. Esther McCoy (1904-1989) is remembered best for her pioneering work as an architectural historian, critic, and proponent of Southern California modern architecture of the early to mid-twentieth century. The Alma Thomas papers were digitized in 2018 and total 6,741 images. Alma Thomas (1891-1978), a painter and art educator in Washington, D.C., was known for her abstract paintings filled with dense patterns of color, and was considered a major artist of the Washington Color School. The Ray Yoshida papers digitized in 2018, and total 6,780 images. Ray Yoshida (1930-2009) was a painter, collagist, and educator in Chicago, Illinois. Yoshida was a member of the Chicago Imagists, a loose and informal group of representational artists from the late 1960s to early 1970s who were influenced by Surrealism and connected to the School of the Art Institute of Chicago. The Bob Thompson papers were digitized in 2017, and total 1,887 images. Bob Thompson (1937-1966) was an African American figurative painter who worked primarily in New York City. Thompson participated in some of the earliest "happenings," somewhat informal art events or gatherings usually involving performance art and music. The Federal Art Project, Photographic Division collection was digitized in 2017, and totals 18,430 images. The Federal Art Project (FAP) was one of the Depression-era work-relief programs of the Federal Works Progress Administration (WPA). In addition to documenting the work and activities of artists employed on the program, Federal Art Project photographers documented the activities of other projects under "Federal One," including the Federal Theater and Music Projects. The Florence Arquin papers were digitized in 2015, and total 18,346 images. Painter, photographer, educator, writer, and critic Florence Arquin (1900-1974) was active in Chicago, Illinois. She was known for her expertise in the field of Latin American Studies and had a close relationship with Frida Kahlo and Diego Rivera. She worked as administrator for the Federal Art Project in Illinois and at the Art Institute of Chicago. The Hedda Sterne papers were digitized in 2016, and total 2,315 images. Painter Hedda Sterne (1910-2011) lived in New York City and was known for working in many artistic styles, including surrealism and abstract expressionism. Sterne was the only woman in the group of abstract expressionists known as "The Irascibles." The Stable Gallery records were digitized in 2016, and total 4,070 images. Stable Gallery (established 1953; closed 1970) was an art gallery in New York City, owned by Eleanor Ward. Ward opened the Stable Gallery on West Fifth-Eighth Street in 1953 and gained a reputation for showing controversial new artists in the 1950s and 1960s. The gallery closed in 1970.